Because of the ever-growing popularity of its audio capabilities, Studio 300 will soon expand its programming to offer software training on Apple’s powerful audio software Logic Pro. Logic Pro is state-of-the-art digital audio workstation software that combines full recording capabilities with virtual instruments, sequencing, and digital effects processing. Since its earliest versions in 2004, Logic Pro has evolved into an industry standard in recording studios around the world. Its layout and design allows users to jump into a project quickly and easily, while offering endless amounts of editing, manipulating, and mixing capabilities producing top-notch results. Users are at a special advantage if they are familiar with Logic’s sibling, GarageBand, and its simpler, user-friendly face. Many functions, features, and even hot-keys are shared between the two programs. In late November, Studio 300 will begin offering programs on Logic Pro that will teach not only the general layout and function of the software, but getting students involved by creating their own projects. Students will be challenged by recording, editing, and mixing audio, then sharing what they create in this hands-on class. 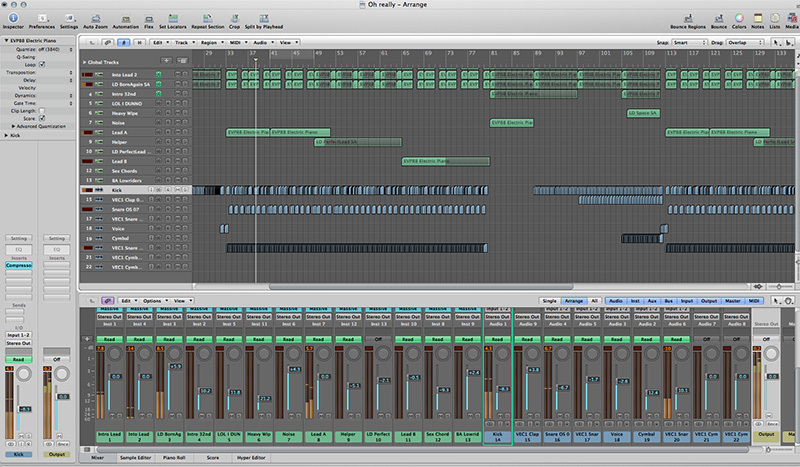 The Logic Pro programs will be offered on Monday, November 25 at 6:30pm and Friday December 6 at 3:00pm. Sign-up begins 21 days prior to those dates. Meanwhile, you can checkout our popular Making Music in Studio 300 classes (featuring GarageBand) in September and October. Video recording an interview for a class project, promotional video, or documentary may at first seem rather easy. But there are some minor issues that often get overlooked. Bad lighting, distracting backgrounds, and poor sound quality can often take away from the actual interview content. Here are some tips to make sure your next interview is a success. The best place to shoot an interview is in an already quiet place with good lighting. Avoid a plain white wall background as it can be dull. Consider using a background that reveals something about the person being interviewed. If possible leave more than 4 feet between the wall and the subject. Always frame the interviewee with some negative space in the direction they are looking and have them angled so that it looks like there’s a conversation between two people. It can also be effective to have a subject speak directly to the camera. Whatever method you decide keep it consistent. Another good rule to follow is the rule of thirds. To use this, simply divide the video frame into thirds both vertically and horizontally. Avoid the spaces created by the imaginary lines and instead use the points where the lines intersect for the subject. We naturally gravitate to those imaginary intersections and it gives a better, more pleasing composition. If recording at home, look for extra lamps or lights that can help light the face evenly and to light the head and shoulders as well to create some separation from the background. Keep an eye out for glare on glasses and shiny spots on top of noses and foreheads. Exposure guides on cameras such as Zebra markers that show white strips on the brightest areas can help with shine. Using the camera’s built-in microphone is never the best choice. 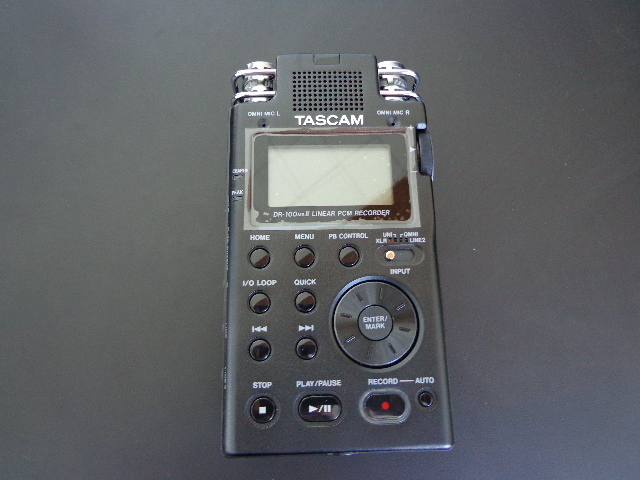 We recommend using a lavaliere mic hooked up to the camera or a separate Tascam audio recorder. These approaches are more professional and less intrusive to the viewer. Although, it may seem like more work to sync the audio and video together in post editing, the better sound quality will be well worth it. Use headphones and test the audio levels before you start recording. If the levels reach 0dB in the red, the audio may be distorted and difficult to fix. Keep in mind wind, hair or clothes rubbing against the mic will also cause distorted sounds.